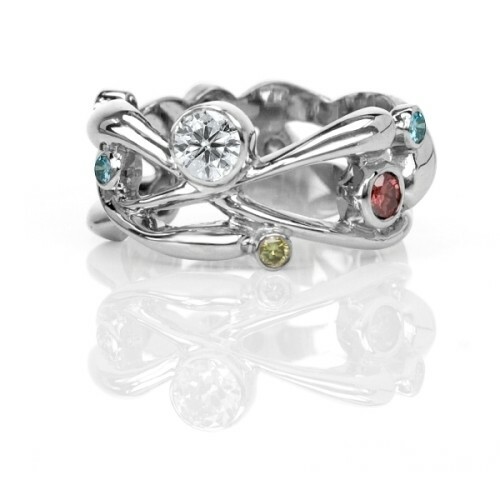 Gemstones float across the surface of this handmade, fully customizable ring. Order online, or contact us to inquire about using this design as the basis for a family ring or a remodelling project. 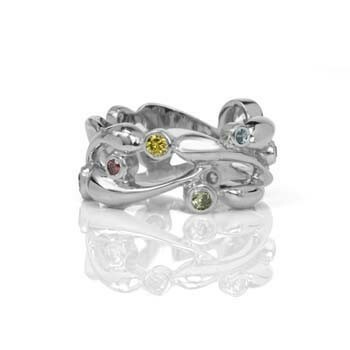 This ring is available online in 14K White Gold with Coloured Diamonds, 14K White Gold with White Diamonds, 14K White Gold with Sapphires, 14K Yellow Gold with White Diamonds, 14K Yellow Gold with Sapphires and Sterling Silver with Sapphires.